In a recent post I talked about the various concept art specialties and how these apply to the professional world. Many concept artists choose to specialize because they can improve much quicker in one area making their skillset in higher demand. Two of the most popular specialties are character designers and environment artists. I’ve already covered the best character books and in this post I want to share the best art books for aspiring environment concept artists. These books range from beginner to advanced with many in-between titles that focus on details like perspective, composition and lighting. Browse through the list and see if any of these titles could help you improve your environment paintings. James Gurney is one of the best artists you can get for learning to paint. He still hosts workshops and conferences around the country so he still walks the walk teaching artists how to paint. His book Imaginative Realism was made for any type of painterly work including digital art & concept art. Fine artists can learn a lot too, but most digital artists have to create work from their head because it doesn’t exist in real life. Every great concept artist needs to be able to merge realist painting with imaginary ideas. This is the cornerstone of creatures, characters, and most definitely environments. 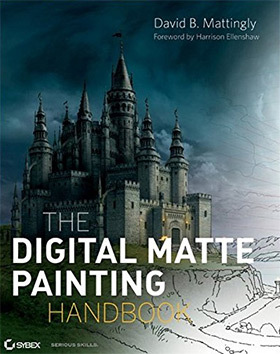 If you already know a bit about digital painting then I’d recommend grabbing this book and following Gurney’s advice. It will not turn you into Michelangelo but it will help you understand realist painting to the point where you can replicate ideas quickly from your mind. 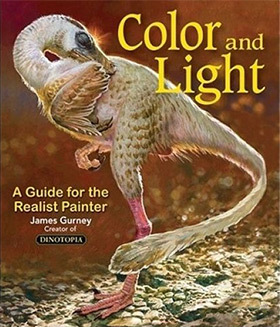 Another James Gurney book I highly recommend is Color and Light. This also looks into realist painting with a specific lens on lighting and shadows to create believable compositions. The mood of a painting is always affected by lighting and color choices. This book will guide you down the right track to understanding how color selection and lighting go hand-in-hand. Gurney combines the idea of realist painting along with imaginary painting to help you create absolutely anything from your mind. As long as you understand lighting, shadows, and forms, you can paint anything as if it were real. Professional artists with 5+ years experience can still learn a lot from this book. 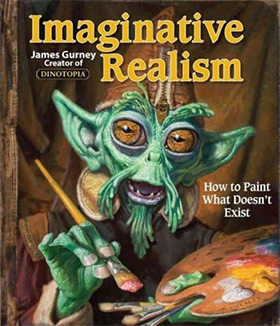 It’s frequently referenced by professionals and it is the definitive guide to painting imaginary concepts with accurate lighting from your mind. Both of Gurney’s books are must have items for any aspiring environment artist. But if you had to get just one then Color and Light is the best place to start for crafting realistic environments from scratch. Whenever people ask for light & shadow books I always come back to Light for Visual Artists by Richard Yot. It’s very well written and easy to pick up even with zero prior knowledge of physics or photon behavior. All artists should learn this stuff and environment artists are no different. 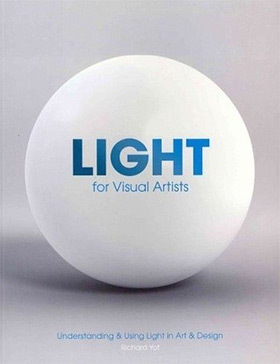 This book assumes the reader wants to apply more accurate lighting into their artwork. You will get technical descriptions but it’s not overly-sciencey and it shouldn’t put you off at all. In fact I think this is one of the easiest books to just pick up and go to town. If you plan to build environments then you’ll need to know lighting. Exterior environments have sunlight and moonlight while interiors have lamps and windows. Light is everywhere and it will always affect your work. Your goal should be a deep understanding of light and shadow so that you can replicate it realistically in all your environments. This book is a huge jump start and by the end you should know more about light and be able to render light better in your paintings. Many artists try to skip the “how to draw” books because they can be very specific and force their own behaviors onto the reader. 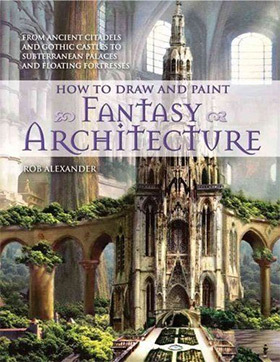 But this isn’t the case with How to Draw and Paint Fantasy Architecture because it offers different techniques and optional tips for painting buildings. The author Rob Alexander is a professional concept artist with prior work in Hollywood productions and Magic The Gathering. He teaches how to craft architecture from different eras and different styles like homes, businesses, skyscrapers, and cathedrals. Early chapters look into architectural styles like Asian and Gothic. Then you move onto different materials like wood, marble, and even buildings with fire damage. Rob gets into great detail about different techniques and even gets philosophical about how to choose your subjects. The last chapter talks about mood, lighting, and color choice affecting each piece of work you create. If you’re looking for basic environments then pass on this book for now. But once you need to learn about buildings and architecture I would highly recommend starting here for some great advice. 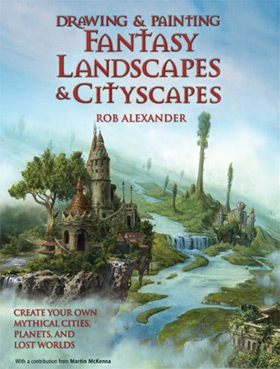 Rob has another book in his series called Drawing and Painting Fantasy Landscapes and Cityscapes. This moves away from traditional architecture and focuses more on environments and big cityscapes. It’s the exact same length as his previous book so you’ll get about the same amount of content. Early chapters start with the basics of trees, clouds, and water. These are like fundamentals for environment work because you need to render this stuff in detail to make it believable. From there you’ll move onto fantasy cities for different concepts ancient ruins, futuristic cities, and underwater cities. Concept art is all about fantasy and invention. Rob knows how to teach fantasy while staying true to the fundamentals that make your work believable. This book is not great for a complete beginner since the exercises assume some painting knowledge. But once you’re comfortable with digital painting I would highly recommend grabbing a copy of this book to start your journey as an environment artist. I know this book is not specifically made for environment art but the advice is incredible for anyone entering the concept art field. Digital Painting Techniques offers 288 pages of expert advice, tips, tricks, and resources to get you thinking in the right way about your artwork. Digital painting requires fundamental knowledge first and foremost. This book assumes you already have that knowledge and pushes you right into the workflow. I can only recommend this book to concept artists who already know how to paint but want to improve their output quality. There are many chapters on creatures and characters which may not be interesting to environment artists. But these are important to understand in passing. When painting environments you’ll often need to add characters into the painting to represent sizes & proportions. You don’t need to be a great character designer for this task. But you do need to know how to quickly paint characters so that they fit accurately into your environments. 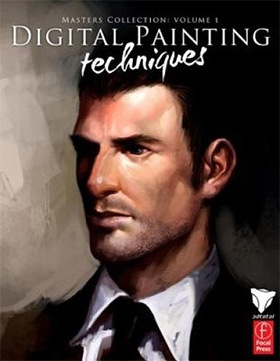 Only grab this book once you’re semi-confident with your artwork and once you feel comfortable painting on a tablet. The techniques in this book are not for complete novices but a semi experienced beginner can pick this up and learn a lot with dedicated practice. Sci-fi and fantasy painter David Mattingly has years of experience in the entertainment industry. He has a deep background in painting and his book The Digital Matte Painting Handbook is specifically geared towards environment artists who want to do this kind of work. Classic matte painting was first used in old school movies and TV shows but has since grown into the digital world. It’s still incredibly popular and even much more popular nowadays in digital form. David’s book is one of the only options for learning matte painting for entertainment design. It’s absolutely huge totaling 416 pages taking you from initial idea to final concept with many handy exercises along the way. I would highly recommend this book to anyone who takes concept art seriously, especially environment art. Learning other styles and techniques can only help you understand more about the industry and the creative process. You may not agree with everything David writes but you’ll walk away with newfound insight and a clearer grasp on the process of environment painting. 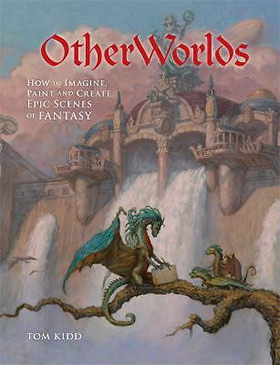 Digital fantasy artist Tom Kidd shares his advice in this unique book OtherWorlds: How to Imagine, Paint and Create Epic Scenes of Fantasy. Plenty of books teach you realist fundamentals and raw rendering techniques. But very few books teach you how to imagine ideas and create them from scratch. This is Tom’s goal with OtherWorlds and it’s aimed primarily at digital artists. This would be an excellent aid for environment artists because most of the job involves crafting fantasy environments from scratch. Understanding the fundamentals can only get you so far. In this book Tom walks you through a step-by-step process demonstrating how he comes up with new ideas and how he renders final pieces. Early chapters talk about perspective, tone, and warm+cool colors. Later chapters get into real concepts for painting imaginary cities, forests, and unique landscapes like tundras. This is a really fun book if you already have your fundamentals down. It doesn’t get into sci-fi or technical work but if you’re into fantasy stuff then this book can help you open your mind and your work to explore new ideas every day. The artists writing for 3DTotal have outdone themselves yet again. Beyond Art Fundamentals picks up where their previous book Art Fundamentals leaves off. Once you already understand the basics of lighting & anatomy you’ll be ready to learn the creative fundamentals of concept art. Mood, tone, color, concept, and clarity of execution are all covered in Beyond Art Fundamentals. This book is not meant strictly for advanced artists. It can be picked up by intermediate-level artists or even beginners who at least understand the fundamentals enough to create their own artwork. 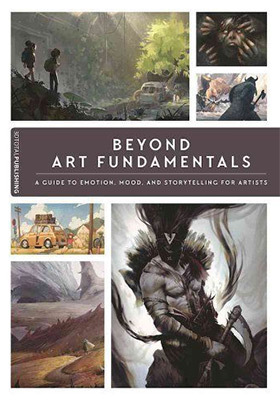 I’d highly recommend grabbing this one since it’s geared specifically towards concept artists and other artists in the entertainment industry. It totals 224 pages full of advice and inspiration to help you move, quite literally, beyond the fundamentals. As such I would highly recommend that you nail down the fundamentals first before picking up a copy. I’m reluctant to add this book into the list only because it’s geared towards advanced artists. But it is honestly a great book. 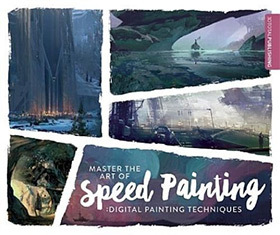 Master the Art of Speed Painting teaches you how to approach speed painting for environment art starting with a blank canvas every time. You’ll often see raw speedpaint videos on YouTube from professional artists who record their process. This is incredibly popular and actually very fun once you’ve developed your artistic skills. But complete beginners should not get this book. Trying to speedpaint before you’re ready is sure to discourage you and it’s not a useful exercise unless you know what you’re doing. Once you’ve mastered the fundamentals you’ll start to improve your creativity and your speed. Both of these things improve with practice and speed painting is a great way to improve your painting speed. But it’s only useful to digital artists who have plenty of experience under their belt creating fully-polished works of art. You’ll know when you’re ready for this book because you’ll feel comfortable working under set time limits. And if you’re ready I guarantee this will help you push out new paintings in record time. All the books in this list are crucial to aspiring environment artists and they each target specific skillsets and needs. Many studios say that environment artists are the least filled job roles among aspiring concept artists, so this career track has jobs if you’re good enough. Start from wherever you are now and be sure to practice your fundamentals. With time and great resources like these books you’ll quickly develop a professional portfolio of work that’ll help you break into studio work.